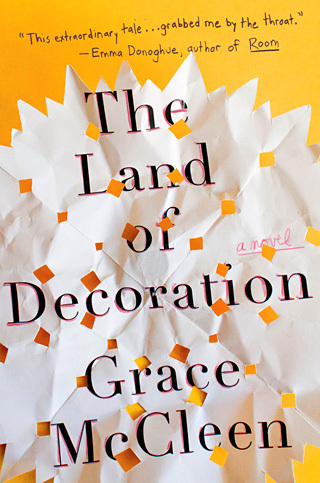 The title of this novel is taken from the book of Ezekiel in which the prophet describes the perfect place awaiting believers as a “Land of Decoration.” In a rundown English factory town, 11-year-old Judith and her father cling to this promise as their daily lives become increasingly difficult. Judith’s mother died giving birth to her, bullies at school torment her relentlessly, and she is sure her father does not love her. As refuge, Judith creates her own “Land of Decoration,” a miniature world composed of found objects where peace and happiness dwell. Her father, meanwhile, withdraws into himself as the workers at his factory strike creating hardship throughout the town. Judith, however, believes in miracles and that God speaks to her encouraging her to perform her “miracles” and make things right. Despite all this, things become increasingly worse. Is Judith truly hearing God’s voice? Is she making miracles happen. Will things ever get better?